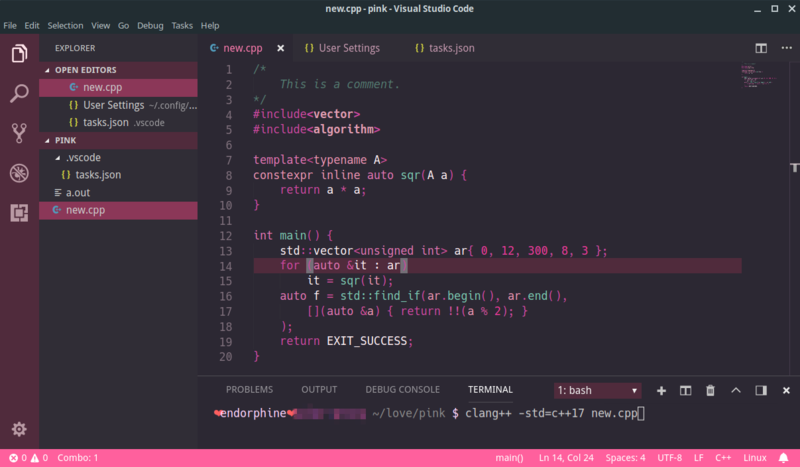 Visual Studio Code>Themes>RoseateNew to Visual Studio Code? Get it now. A dark theme which utilizes shades of pink and a tiny bit of spring green. 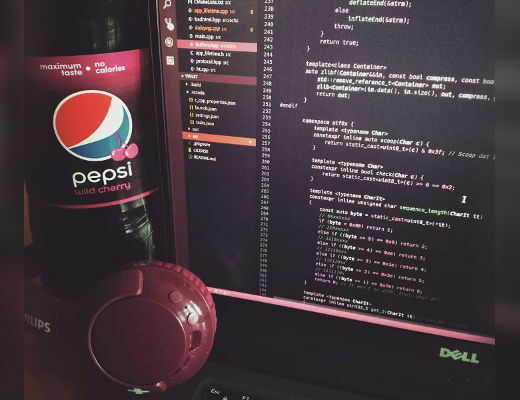 Aimed to make my C++ code prettier; or, really, just so it goes well with all the wild cherry Pepsi that's seemingly always there next to my computer. All wrongs reserved. Have fun with it.